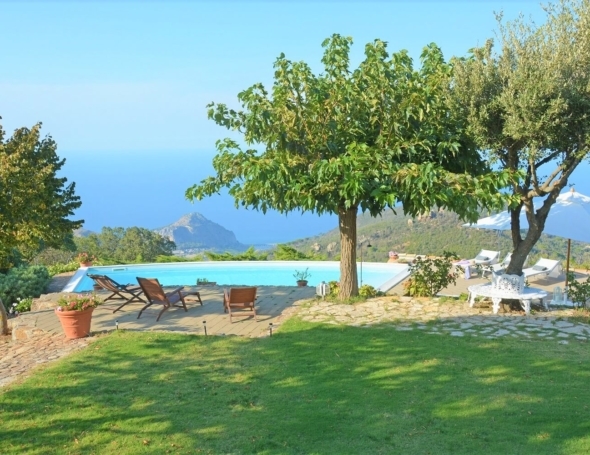 Villa Respiro in Cefalù, Sicily set in a pretty garden with twisted olive trees. 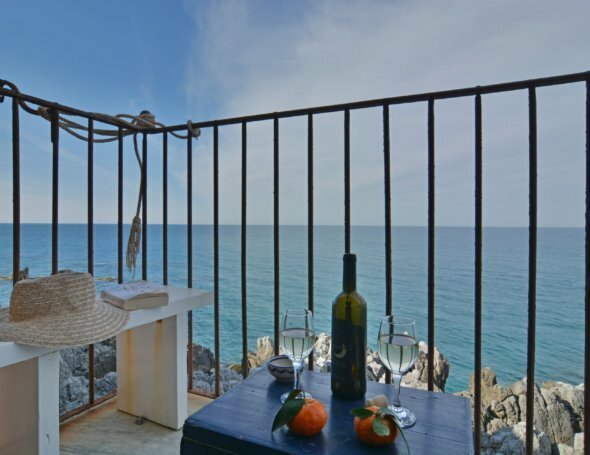 Villa Respiro located at short drive distance to Cefalu (pretty medieval centre, restaurants, shops and long sandy beach). 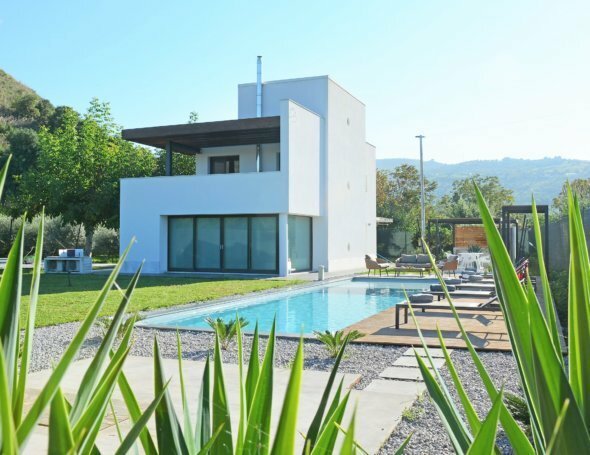 Sleeping up to 8 people, Villa Respiro is made up an attractive stone villa and two wooden clad annexes, one of the annexes with a double room and the other with two double bedroom and views of the sea and mountains. The larger stone villa also has a well-designed kitchen and dining area for 6. The property can accommodate up to 8 people we prefer to rent this villa for a maximum of 4 guests in low season (April to 4th May and throughout the month of October) as we feel the inside space would not be comfortable for a larger party when the temperature is cooler. The style of the whole property feels modern yet relaxed, with its whitewashed wooden beams and neutral shades which provide the perfect backdrop for simple, contemporary furnishings, just right for laid-back holidays in the sunshine. Designed for summer living, an outside kitchen and a large covered terrace with a dining table set the scene for meals with friends and family. With its private lawned garden, a pool for cooling off and beautiful scenery, Villa Respiro really is an ideal holiday home. Barn one: Double bedroom and bathroom. Outside & Pool: Large garden, nice pool (4 mt x 4 mt deep 1.5 ) and outside kitchen with wood oven and barbecue with dining table for up to 10. The Edwards, Bettany and Telford family could not have had a better holiday in the Villa Respiro. The accommodation was spotlessly clean, the beds very comfortable and the aircon surprisingly quiet. The configuration of the stone house, the single and the double cabin was perfect for our family – we were a couple, a family of four and a single. Much of the kids time was spent in and out of the pool and the toys were much appreciated. The adults chilled out looking at the magnificent view and drinking excellent Sicilian wine. All in all, we had an absolutely marvellous time and we had tears when the children realised they were leaving the ‘holiday home’. I will recommend Sicily and Massimo Villas to all my friends.